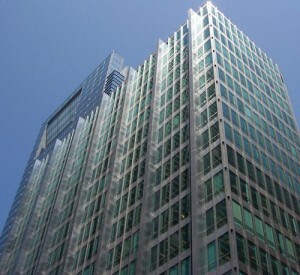 The Inland Steel Building, located at 30 W. Monroe Street in Chicago, is one of the defining commercial high-rises of the post-World War II era of modern architecture. It was built in the years 1956–1957 and was the first skyscraper to be built in the Chicago Loop following the Great Depression of the 1930s. Its principal designers were Bruce Graham and Walter Netsch of the Skidmore, Owings & Merrill architecture firm. 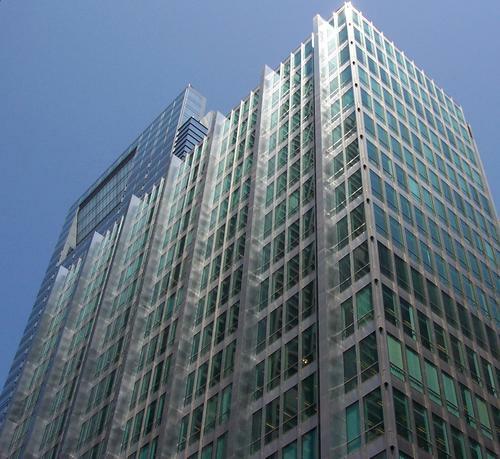 The use of brushed stainless steel cladding reflects the corporation that commissioned the building as its headquarters, the Inland Steel Company. The placement of all structural columns on the building's perimeter—and the consolidation of elevators and other service functions in a separate tower—allowed for a highly flexible interior floor layout with no interior columns. This design is a good example of the widely held principle of the era, "form follows function" (Louis Sullivan). 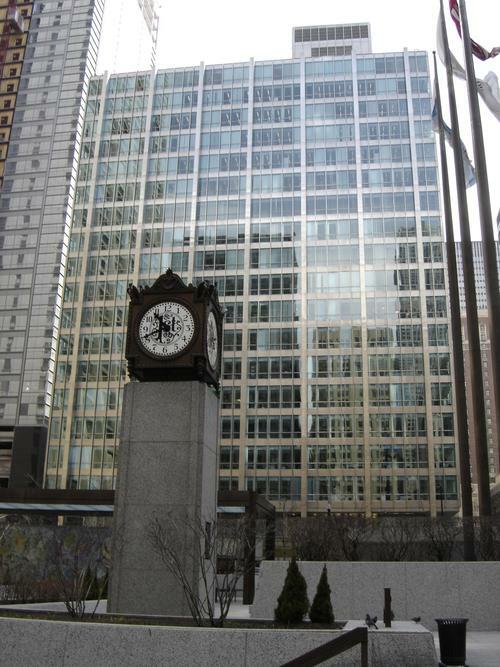 The Inland Steel Building was designated a Chicago Landmark on October 7, 1998.